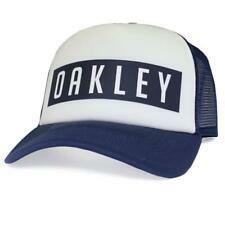 Oakley Crater Trucker Cap. Model : Crater Trucker Cap. Size : Adjustable. Black Blue. Color : Black Blue. General Interest. Oakley Stacker Cap. Oakley Logo. Colour: Navy / White. Size: Adjustable. Adjustable Sizing. Oakley Stacker Cap. Oakley Logo. Colour: Jet Black. Size: Adjustable. Adjustable Sizing. Oakley Factory Lite Golf Cap. Colour: New Crimson (Red & White). Embroidered Oakley logo. Model: Factory Lite Golf Cap. Material: 94% Polyester, 6% Elastane. NEW ARRIVALS. 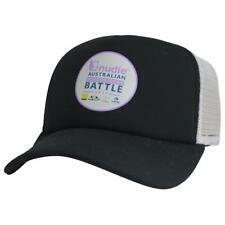 Oakley Australian Boardriders Cap. Model: Australian Boardriders Battle 2017. Oakley ABB 2017 Logo. Colour: Black / White. Adjustable Sizing. OAKLEY BEANIE HAT MARK II NOVELTY SNAPBACK. 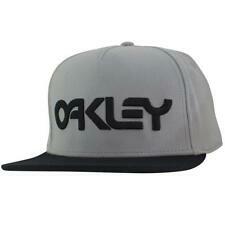 Oakley Mark II Cap flat brim and embroidered logo. Manufacturer: Oakley. Cycling Cap Mark II Novelty Snap-Back with flat brim and embroidered details on his forehead is pure contemporary style. Adjustable Snapback. Color: Dark Brush. Style Baseball Cap. Size Adjustable. Color Green. The Foundation Hat is made with lightweight micro-fiber that wicks sweat away so you stay dry and comfortable when the action heats up. 100% Polyester. Adjustable (snap-back closure). Eyelid vents enhances air flow. New Era® 9Fifty®. 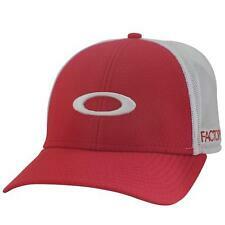 Oakley "O" logo rear above snapback. Team insignia in 3D carbon fiber embroidery / embroidered Oakley icon & baseball stitch. Yankees embroider front (carbon like logo). New Era embroider on left side. New Era® 9FORTY™ snap-back construction provides a custom fit. Model Number - 911523. 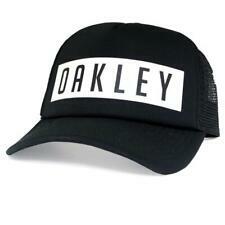 New Oakley Clean Stretch Cap "91134". With only one small Oakley logo welded on the side above the brim, this hat is solid. The deepened cap makes for a full fit. 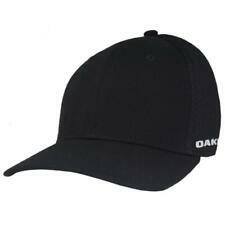 Oakley Clean Stretch Cap. Color: Dark Red 454. Modern style, premium finish. We're rated 5/5 for service! New arrivals. High quality products at amazing prices. We're here to help whenever you need us. Dedicated Support. With over 20 years experience, Urban Surfer strives to be your first choice in skate, surf, snow and lifestyle clothing, shoes, hardware and accessories. Adjustable Snapback. Color: Dark Brush. 92% Polyester 8% Spandex. Condition: Pre-Owned - In great condition. Oakley sticker/label peeling off brim. Includes: Hat only. We would like the opportunity to resolve any issues.